Aside form a healthy selection of panels and presentations, publisher Image Comics has a whole mess of exclusives in store for show-goers. There are a ton of variant covers, an action figure, and... a watch? Yeah, it's a timepiece all right- but this just might be the most infectious timepiece you'll ever own. 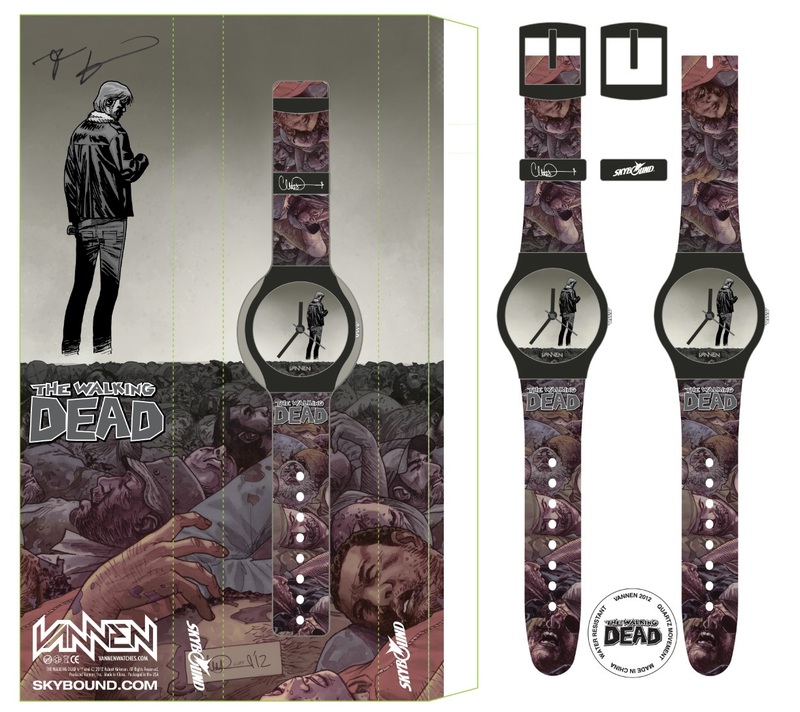 In honor of The Walking Dead's 100th issue, Skybound and Vannen watches bring you a limited edition timepiece. 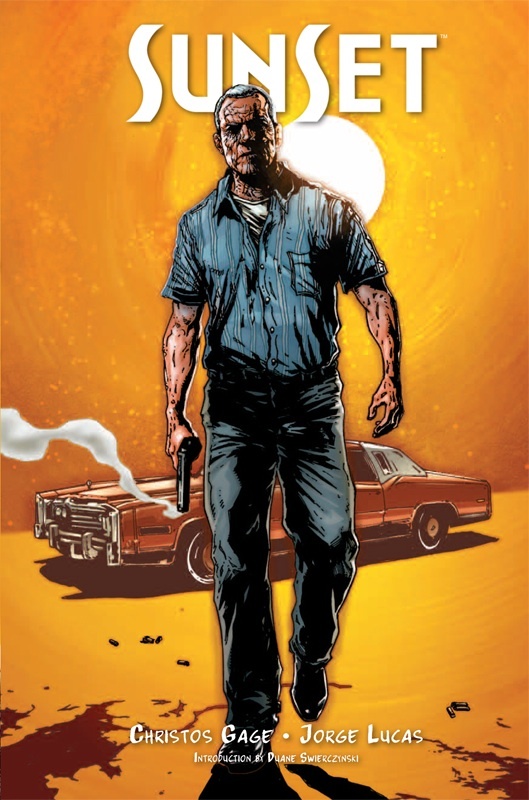 The watch features art from Charlie Adlard's issue #100 cover. 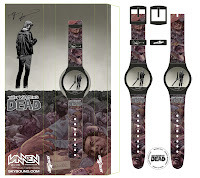 Each watch is signed by Robert Kirkman. 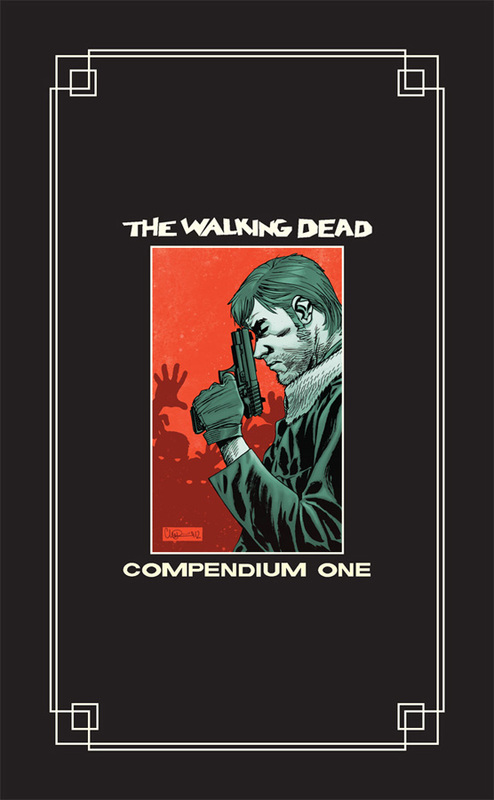 That's not all there is for Dead fans though- If you read this site regularly, then you'll remember that awesome hardcover tome, The Walking Dead Compendium will also be available at the show. But seriously, once that one's gone, it's gone. And rounding out the offerings is one very cool action figure. 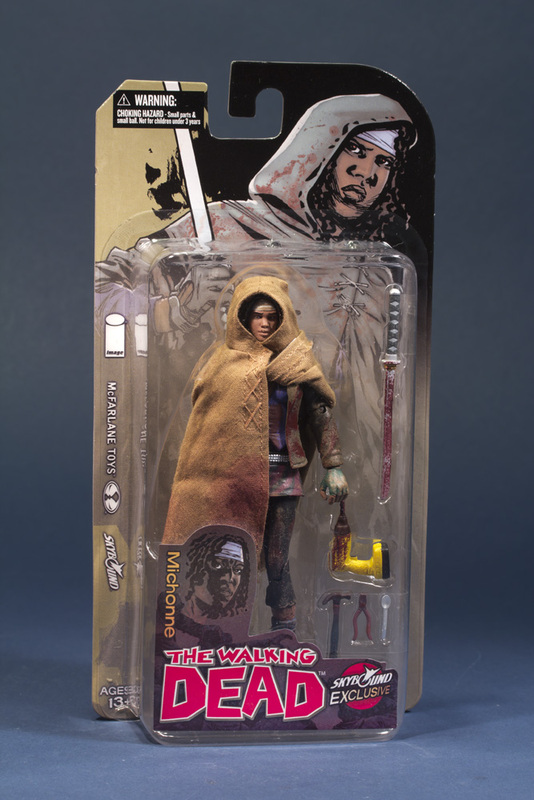 Fan favorite Michonne will be blister packed and ready to take home with a 'bloody' variant edition figure that shows the character in her first appearance. Not a The Walking Dead fan? Don't worry, Image has some nice little exclusive comics for you too. 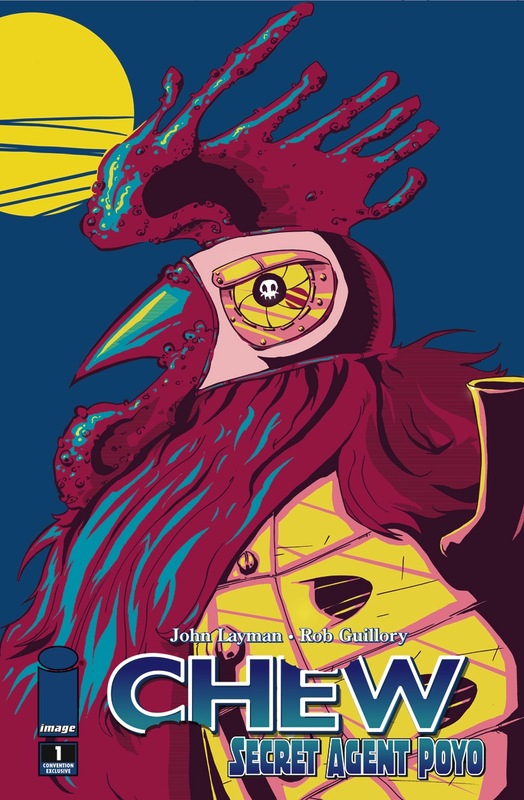 A one-shot spinning off CHEW's most popular supporting character, and comics' most beloved homicidal cybernetic kung-fu rooster. Concentrated mayhem. Feathers, rage and hate! Plus: an all-star pin-up gallery from some of the most staggeringly talented artists in the industry! 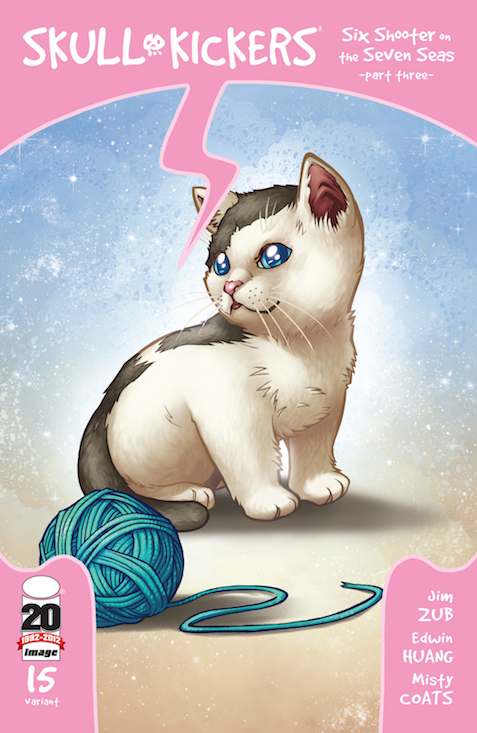 Created as a gag cover to appear in previews so as not to spoil earlier issues, this kitten cover by Edwin Huang and Misty Coates is now available to purchase thanks to popular demand! Don't let the kitten fool you, though. Inside is heinous violence, trouble-making and all the skullkicking you can handle. A Comic-Con Debut Original Graphic Novel! Sometimes all you can do is go out with guns blazing... CHRISTOS GAGE and JORGE LUCAS debut their hard-hitting old man noir original graphic novel - SUNSET. 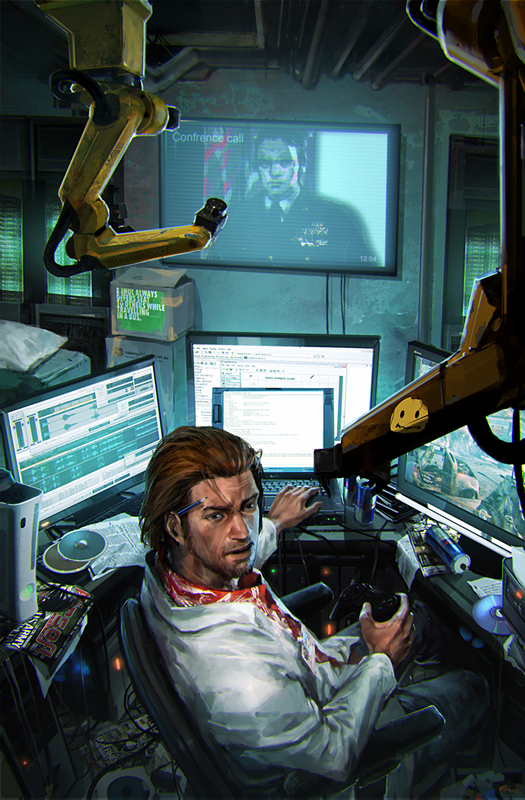 On the surface, Nick Bellamy looks like any other veteran retiree left behind by a modern world. In reality, Nick is a former enforcer, who stole a fortune and years of freedom from his former mob boss. This limited edition variant will feature a foil stamped logo and an exclusive book plate. Kicking off a brand new story in the Top Cow's ongoing REBIRTH initiative, RON MARZ and STJEPAN SEJIC introduce a brand new Artifact bearer - Dr. Rachel Harrison, bearer of the Heartstone - in this special three part story. 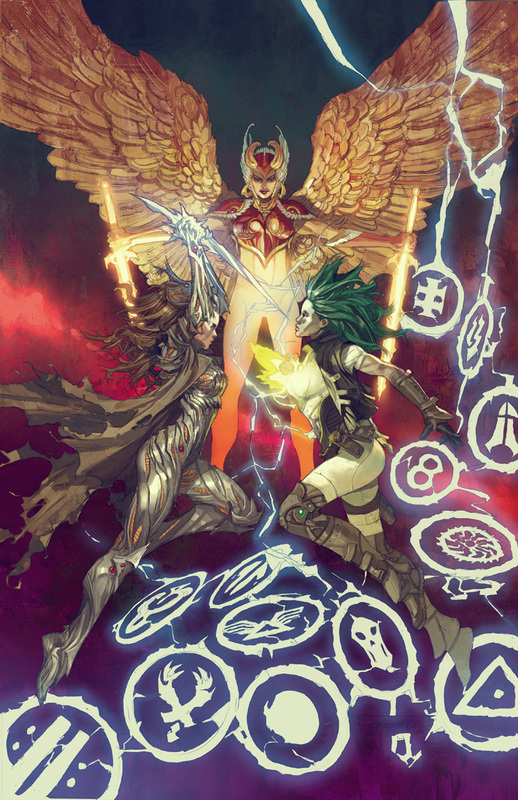 Available only at Comic-Con, this exclusive cover by MICHAEL BROUSSARD features Witchblade, Angelus and Aphrodite! Rated Teen Plus. 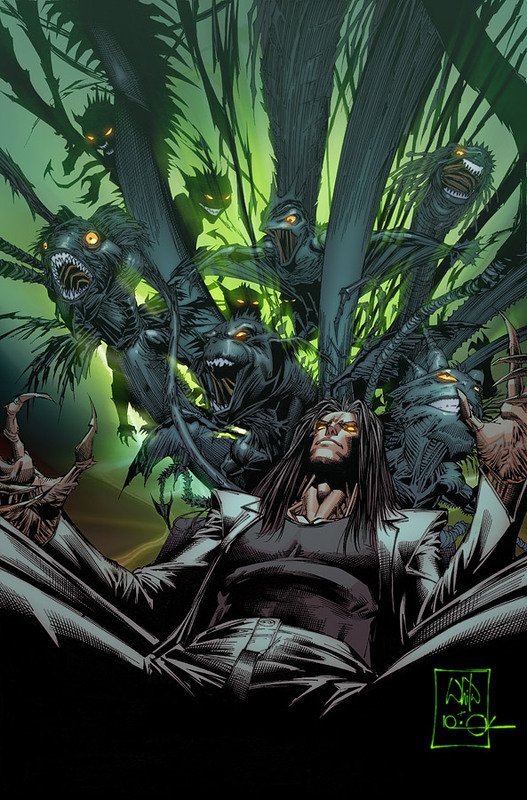 Concluding DAVID HINE and JEREMY HAUN's explosive opening story arc, this issue sees Jackie Estacado, bearer of the Darkness, confronted with the fact that his perfect world is falling apart. Available only at Comic-Con, this exclusive cover by WHILCE PORTACIO features The Darkness and his Darklings! Rated Mature. Get all three of Top Cow's exclusive variant covers for only $25, a $5 savings!